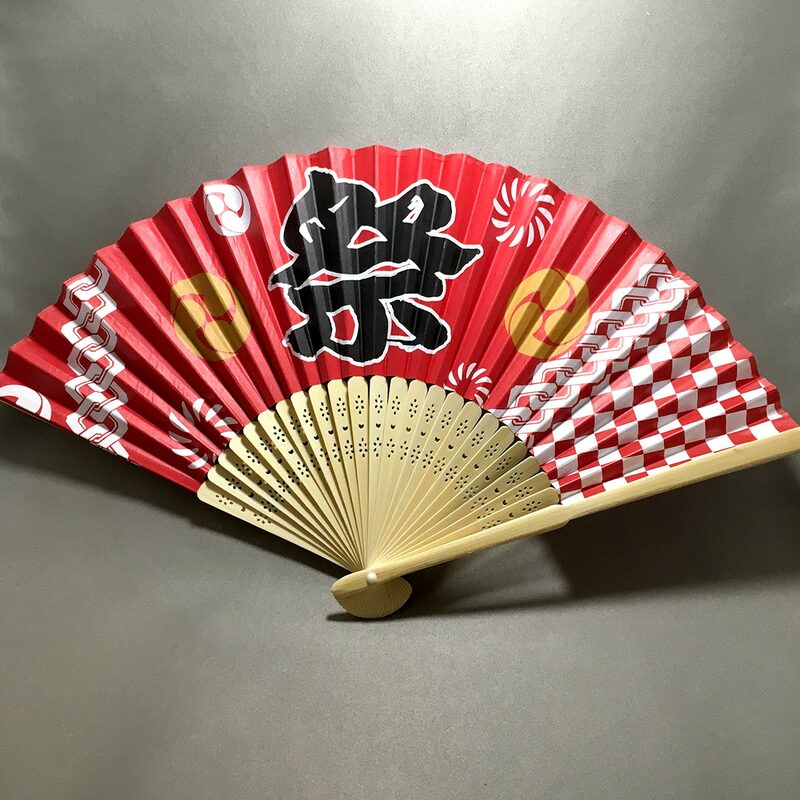 The vivid red color with the thick calligraphy character ‘祭’ (matsuri) gives a very energetic feel, just what you need for the summer festivals. 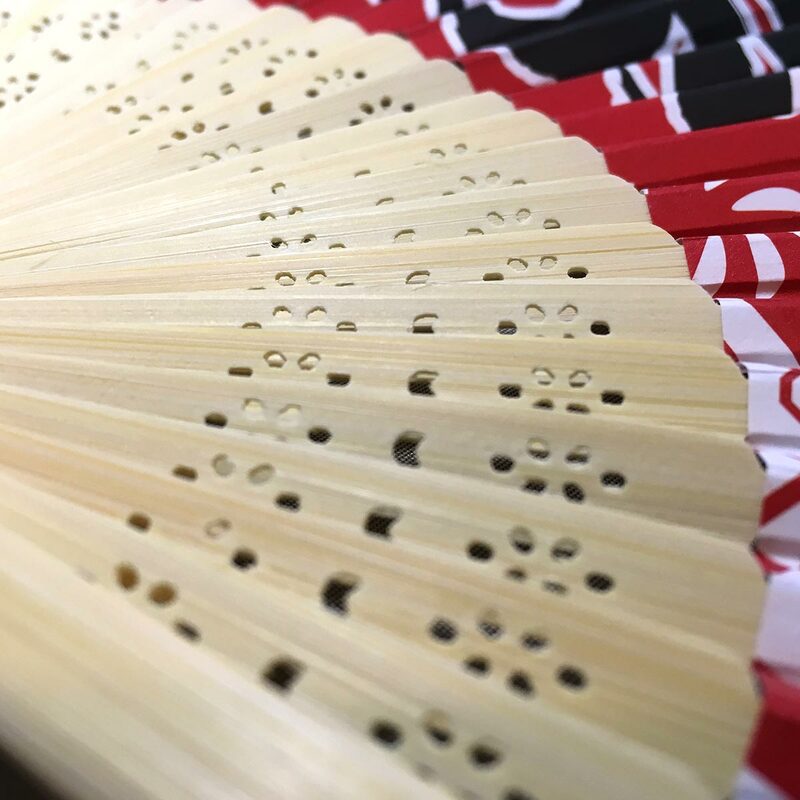 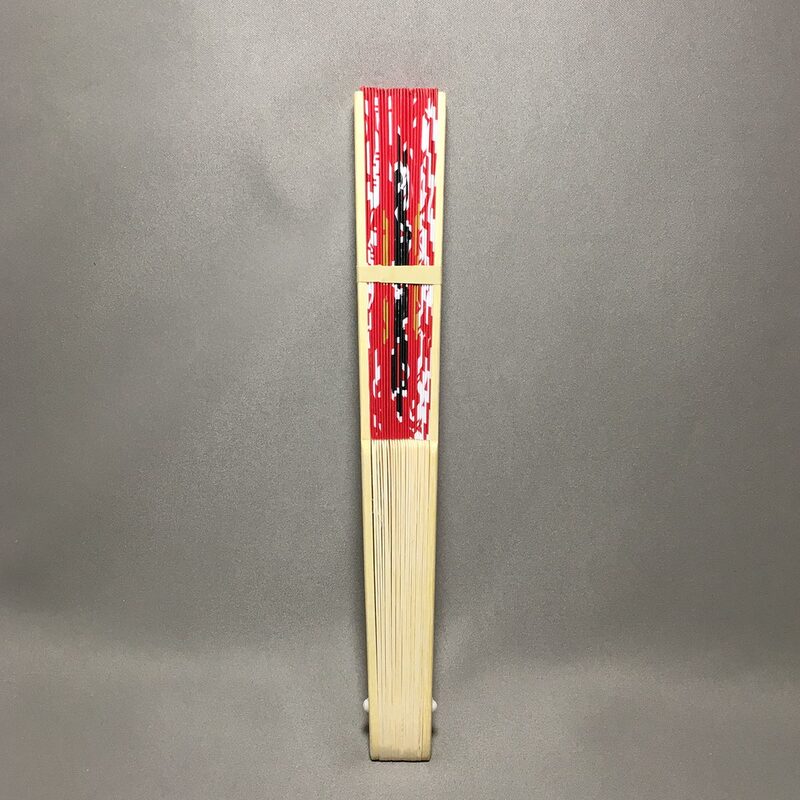 Simple patterns are cut into the bamboo ribs to add some elegance to the fan. 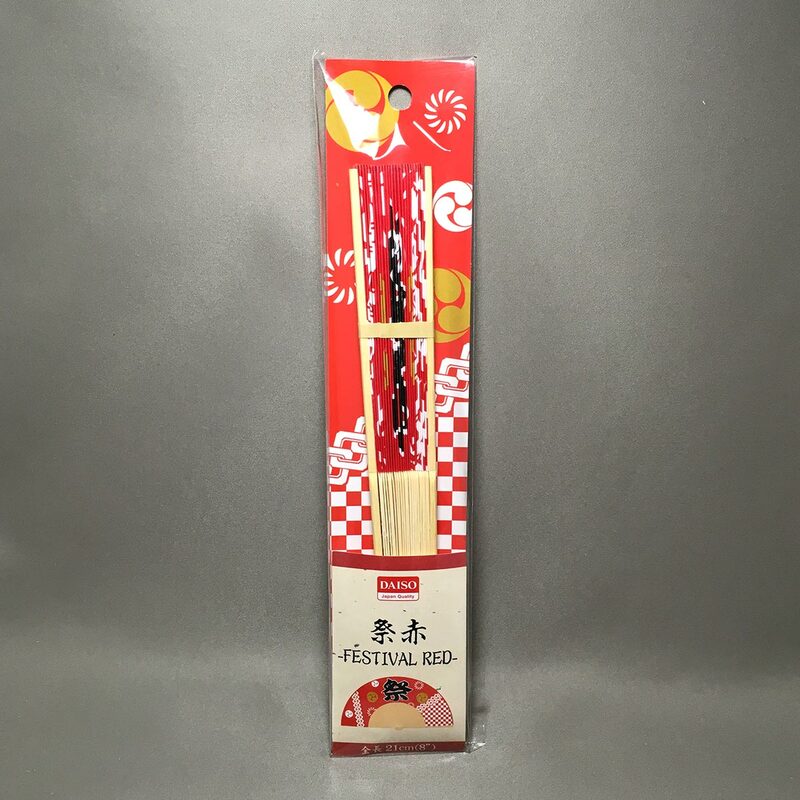 The colors and patterns may differ slightly from the pictures on the packaging. 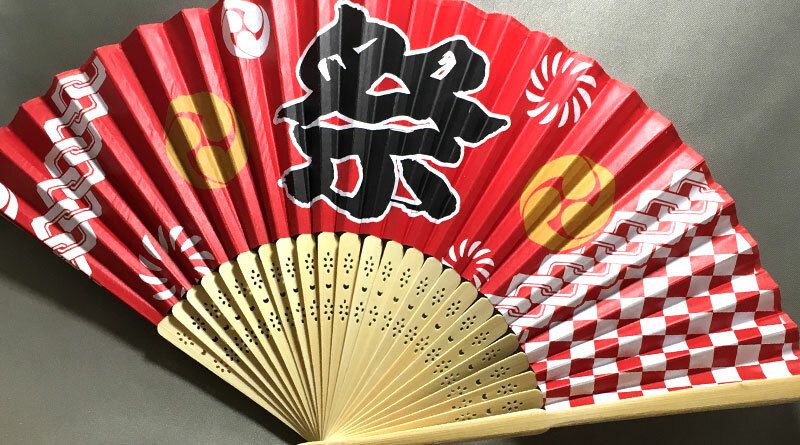 – Reckless handling may cause damage to the fan. 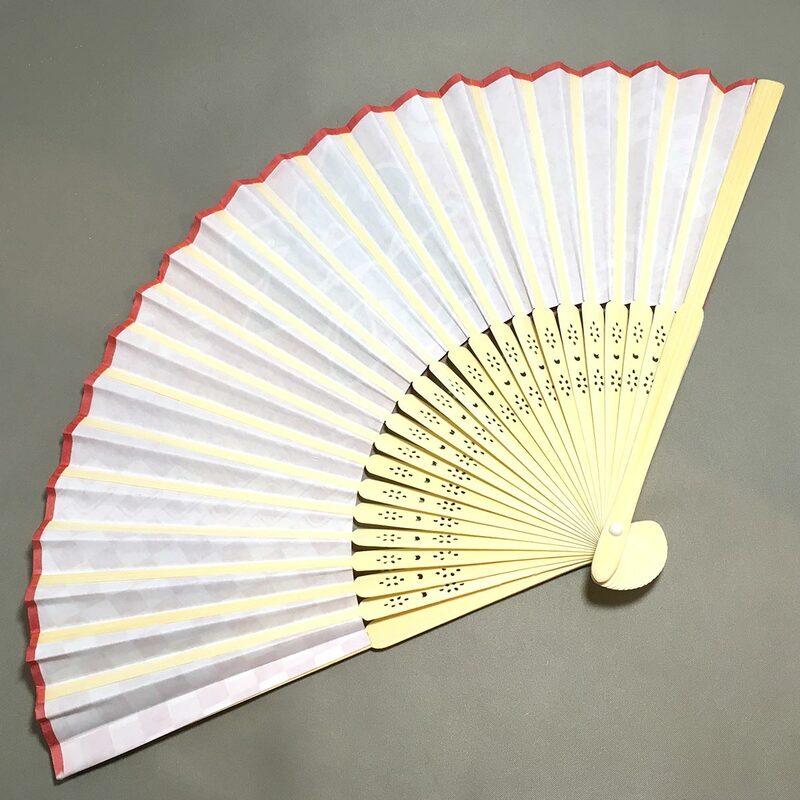 – Broken fan ribs may cause injuries. 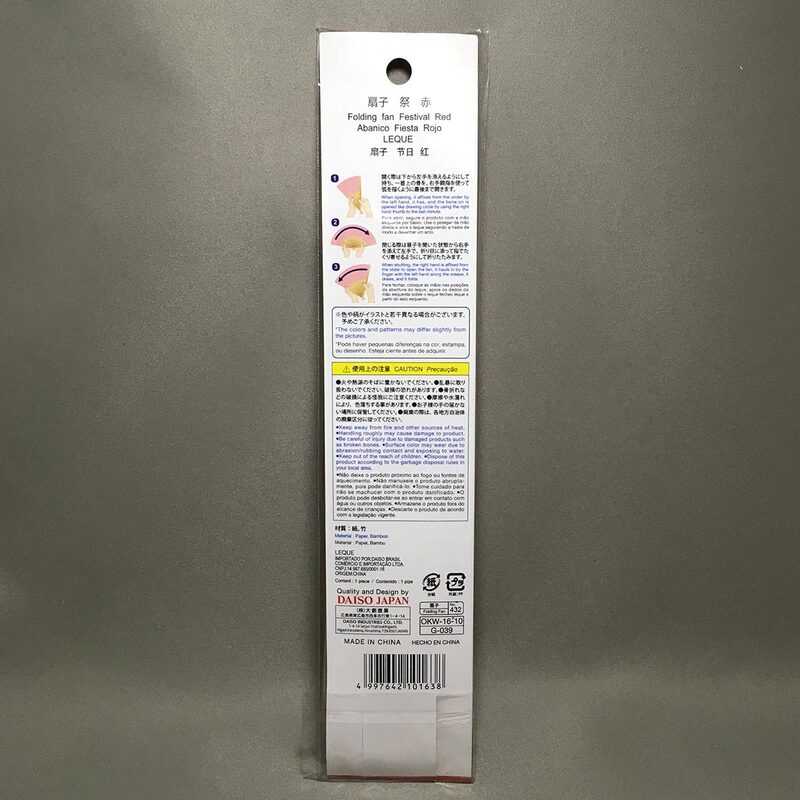 – Color may fade due to surface wear from rubbing or exposure to water. 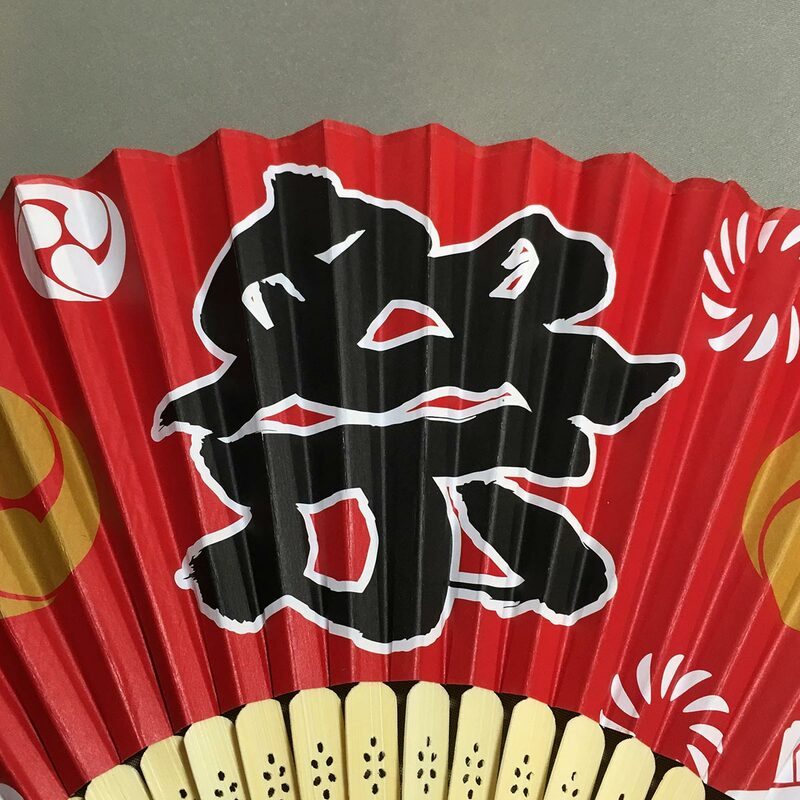 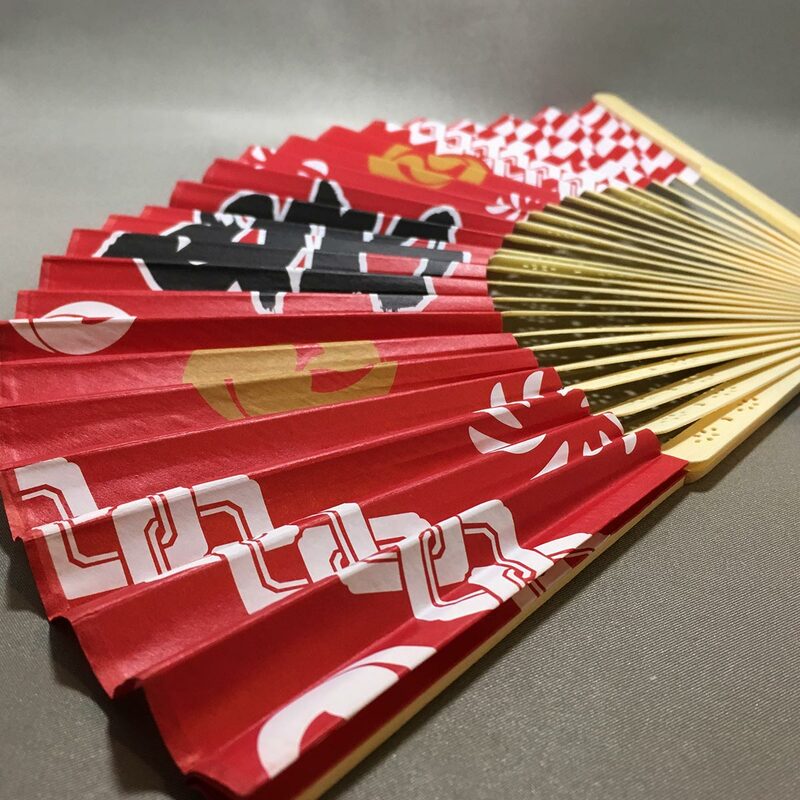 This is a very timely item as the summer festival events such as firework displays during the hot and humid summer will absolutely require a fan, and what better than a festival fan! 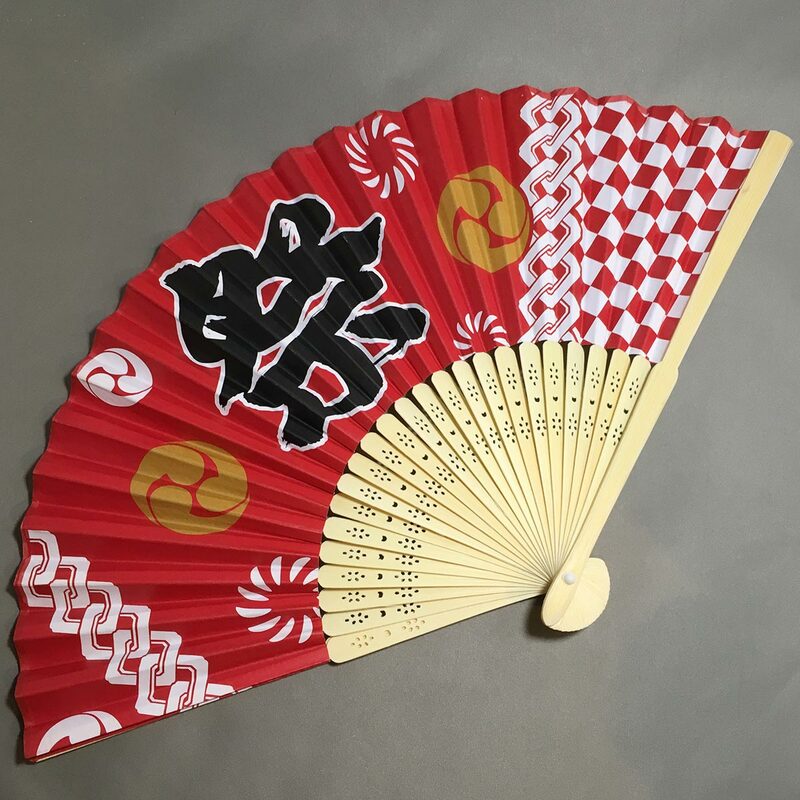 There are a few designs from Daiso, so choose the one you like, and make good use of it.